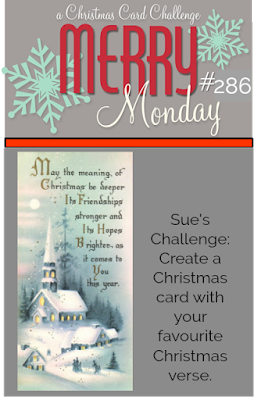 We have a new Merry Monday Christmas card challenge, Sue is our hostess and her challenge is to Create a Christmas card with your favourite Christmas verse. I don't have a favourite verse but the sentiment stamp below is one of my goto sentiments. 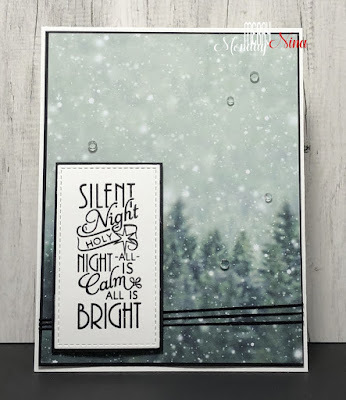 I used a CAS design, I heat embossed the sentiment then added a layer of black cardstock. The main panel also has a layer of black cardstock. I finished with some twine and gems. Supplies: White and black cardstock, Designer Paper - Kaisercraft, Verve - Peace on Earth, twine, gems. 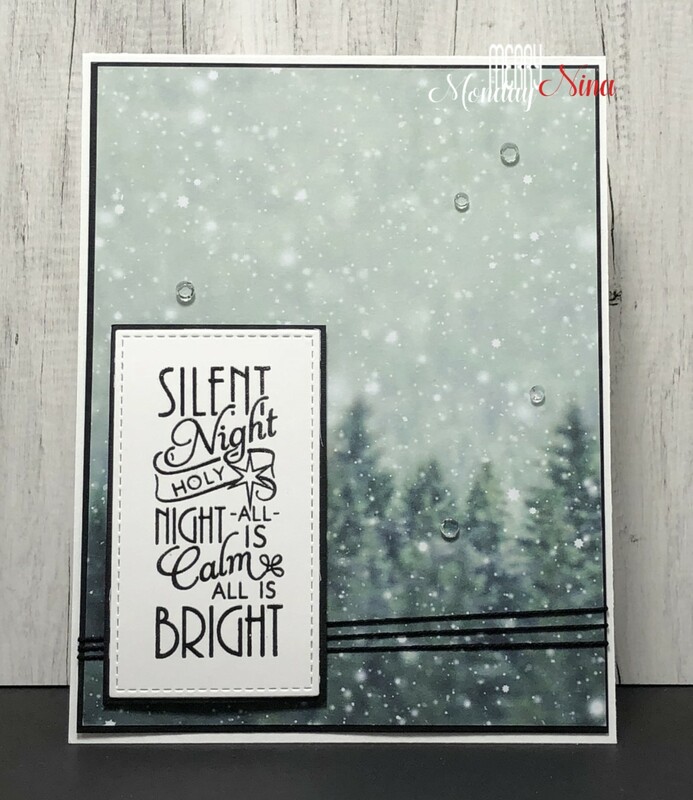 Come play along with the challenge, stop by the Merry Monday blog to take a look at all the great inspiration created by the rest of the Merry Makers. Perfect use of that designer paper, Nina - so serene! Just love it with that verse!! Beautiful card Nina. I love that sentiment and the paper behind it. Very serene scene used for your lovely verse. Hope you are having a great week. Awesome card Nina, love the soft colour palette and your wonderful Verse.